Luke Bryan climbs up one and takes over the top spot with “Play It Again”, while his collaboration with Florida Georgia Line, “This Is How We Roll”, moves back up one to the runner-up position. Brantley Gilbert’s “Bottoms Up” fall out of #1 to #3 and rounding out the top 5 is Eric Church’s “Give Me Back My Hometown” and Thomas Rhett’s “Get Me Some Of That”. 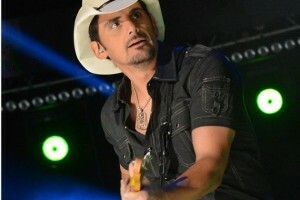 Brad Paisley has the highest debut this week, coming in at #21 with “River Bank” and Dierks Bentley follows up his hit “I Hold On” with “Drunk On A Plane”, which enters the countdown at #25. Re-entering at #24 after a week outside the top 25 is Joe Nichols’ “Yeah”.